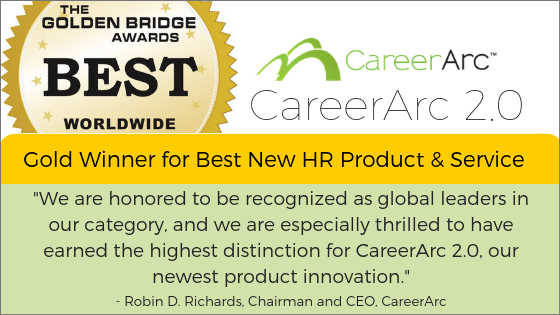 We are excited to announce that CareerArc 2.0 has earned the highest distinction in the Best New HR Product & Service category at the 10th Annual Golden Bridge Awards®. 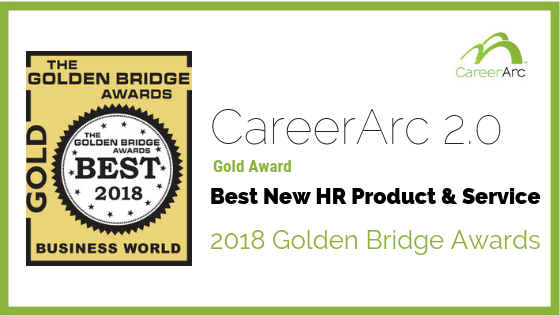 The Golden Bridge Awards program recognizes the world’s best in customer satisfaction programs, organizational performance, and products and services from every major industry in the world. This year’s winners include Cisco Systems, DHL, AAA, among others. See the list of winners here. Over 550 nominations from companies in 21 countries were submitted this year for consideration in a wide range of HR-related categories. See the full list here. We proudly share this award with our talented technology team, client success team, and our forward-thinking clients who together keep us ever at the forefront of recruitment, talent, and outplacement technology. 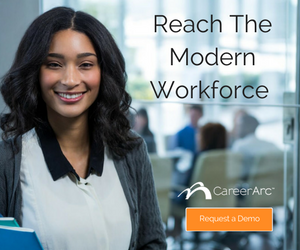 CareerArc earned multiple distinctions, including Gold for Best New HR Product & Service, Silver for HR Technology Solution Provider of the Year and more.